How do you recognize a real Rolex Red Sub? 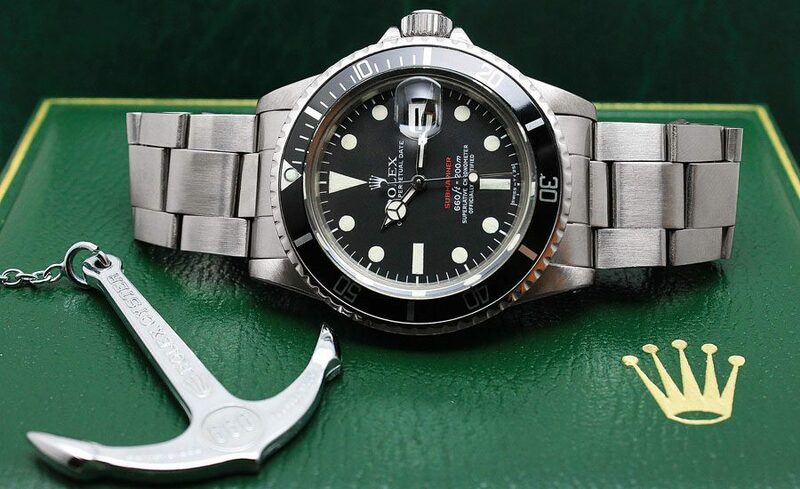 What should I bear in mind when buying a 1680 reference? The Red Submariner, her full name, is regarded by many as the entry into the world of Rolex vintage watches. To help you get started, here are 5 tips for collectors. 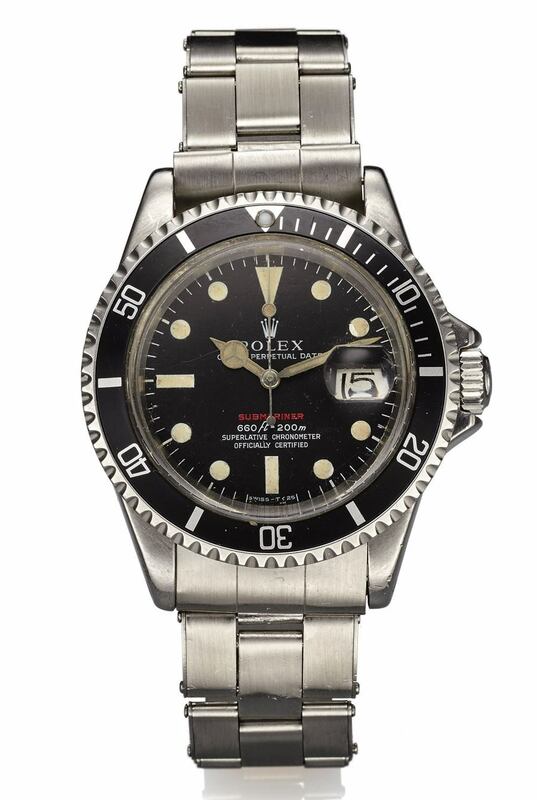 Manufactured from 1967 to 1980, the reference 1680 was the first Submariner with date. Until 1974, the lettering “Submariner” was printed in red on the dial. Today, Rolex produces almost every component of its watches itself. This has not always been the case. In fact, in the past the brand sometimes had different suppliers for the same part at the same time. The resulting small differences in design, colour and materials are part of the fascination of Vintage-Rolex. The dial of the Red Sub is the clearest and fastest proof of the authenticity of the watch. In the short production period from 1967 to 1974, there were no fewer than six dials. Some were even produced at the same time and sold in different markets. The dials are now called Mark I to Mark VI, with the most significant change occurring when changing from Mark III to Mark IV: the Submariner was water-resistant to a depth of 200 metres or 660 feet. Mark I to Mark III dials indicate this with the lettering “200 m = 660 ft” and are therefore also called “Meters First” dials. From Mark IV to Mark VI, this changed to “Feet First”, which could indicate the growing importance of the North American market at the time. A Mark I dial differs from Mark II and III by its closed sixes in the footer. This version is by far the rarest, followed by the variants Mark II and III. Mark II and III are the only ones with the so-called Tropical Dials. The term refers to the phenomenon that the dials change colour as they age, usually towards brown, with different tones. This color change, which was probably caused in the first years by a lot of sunlight, heat or moisture, probably results from an unstable or unclean color mixture on the part of the suppliers at that time. The Tropical Dials are considered to be particularly beautiful and are highly sought after by collectors. Aged luminous material, whose colour changes from white to yellow or brown, also significantly increases the value. It is important that the colour of the hour markers and hands match, as this indicates the original condition of the watch. If you are looking for a collectible Red Sub, make sure that both the reference and serial numbers are still legible and that the case does not look polished throughout. In the early series, a production date that matches the serial number should also be stamped on the bottom of the case. In the case of the bezel, a scale ring with bold letters increases the value compared to the later versions with thinner minute marks, since the bold letters are more likely to indicate an original part. A damaged or missing luminous point in the zero mark plays no special role for the value of the watch. 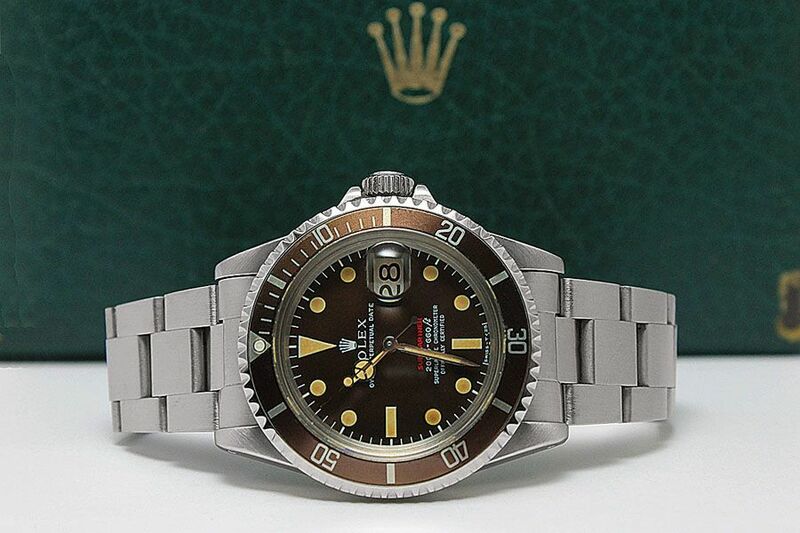 The Red Sub always contains the automatic caliber Rolex 1575, which added a date display to its predecessor 1570. 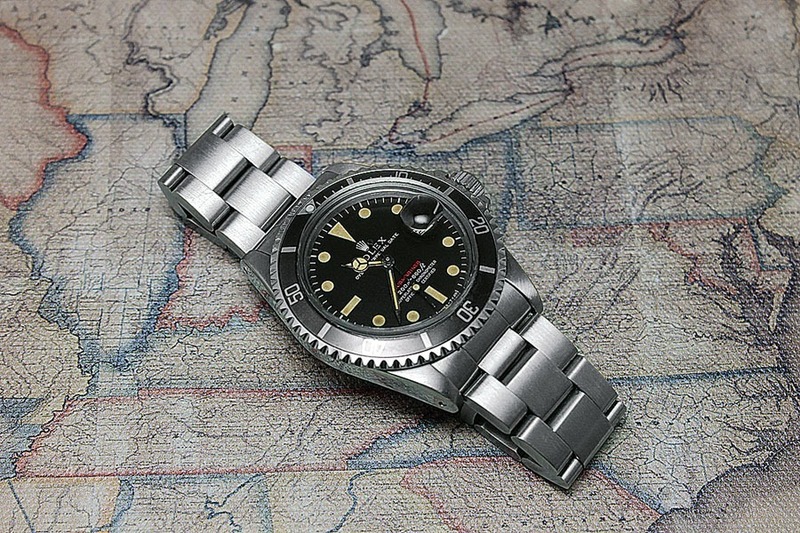 This workhorse also ticks in other Rolex vintage sports watches such as the GMT-Master Reference 1675, Sea-Dweller Reference 1665 or Explorer II Reference 1655. The Red Sub was usually shipped with the band reference 9315. On earlier bracelets, the date stamped into the buckle should be approximately the same as the date on the case back; however, deviations of one or two years are not uncommon. These 5 collector’s tips are first hints for buying a Rolex Red Sub. If you are not yet a specialist, you should always consult an expert if you want to buy one of the coveted collector’s items.